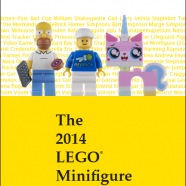 The 2014 LEGO Minifigure Catalog is now available | Christoph Bartneck, Ph.D. The book is available for purchase at CreateSpace and at Amazon.com and as an eBook from Lulu. The App will be updated in due time.